The Stalingrad front has collapsed. Only a few remnants of the 14th Panzer Army have survived. At this point, all the Axis wants to do is delay, delay, delay. The Soviet turn begins with the Axis lines in disarray. The Soviets should be able to rush through and get into the Axis rear. It has been well over a year since anything was posted about this game. Several things have contributed to this, but the battle has raged on. Slowly, but it has raged on. Now I have to try to sort through the turns and remember what happened. 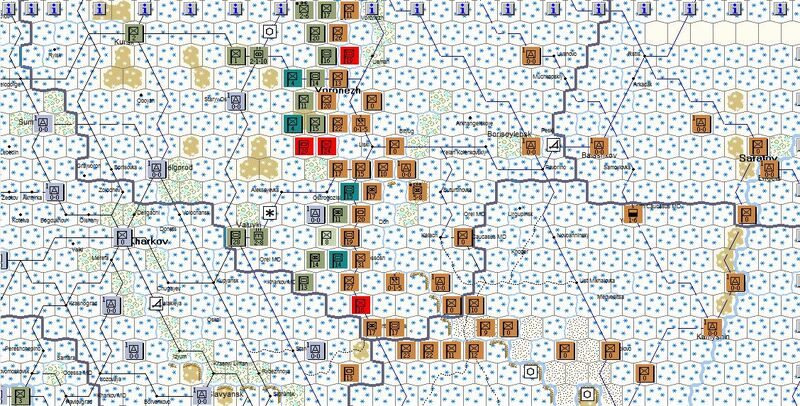 The German Sixth Army has been swept from Stalingrad, and the Soviets are starting to squeeze the pocket. In the north, parts of the Soviet line were starting to give under German pressure, but the Soviets poured reinforcements into the line to shore up the front lines. The Soviet lines are starting to give way to German pressure. 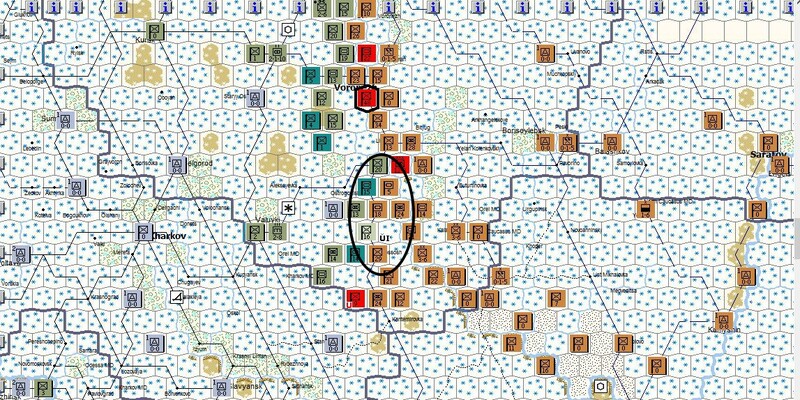 In the north, a breach has been formed, as well as a puncture in the wall surrounding the Stalingrad pocket. 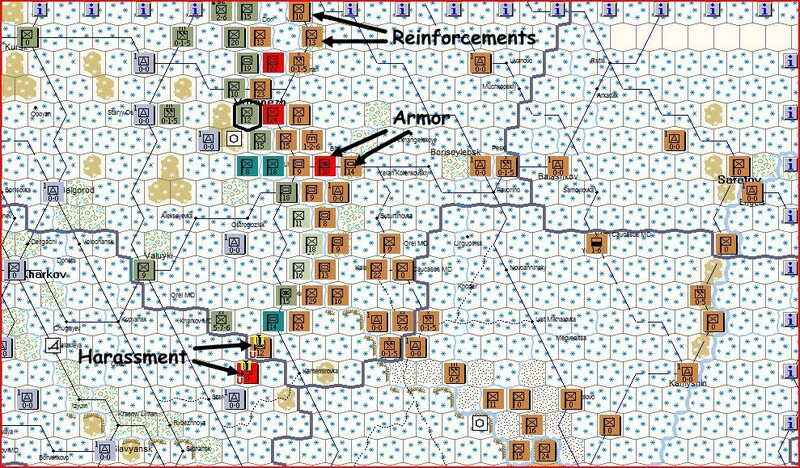 The front line across from the Italian front has been thinly held by Soviet forces, and so far, the Axis have not seen fit to try to break through.